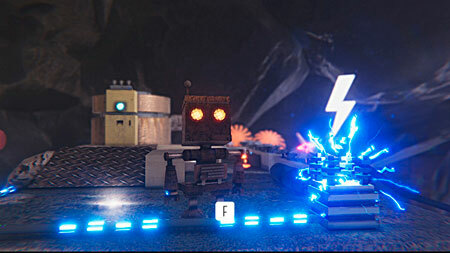 Mechanism is an adventure game about a lonely robot developed by Alexander Goodwin. Dive into a depressive steampunk world which has been infected with a strange disease called “Phlegm”. Explore the world of “Mechanism”, which changes based on your actions. Solve riddles using various objects but be careful because Flegma can harm not only organic beings, but robots as well. Find every secret corner of every location to understand what happened to the world. If you get stuck in the game, check out the video walkthrough and gameplay for the game. This entry was posted in PC Games, Walkthrough and tagged Mechanism Cheats, Mechanism Game, Mechanism Gameplay, Mechanism Guide, Mechanism Hints, Mechanism Review, Mechanism Solutions, Mechanism Strategy, Mechanism Tips, Mechanism Walkthrough by Marvin. Bookmark the permalink.